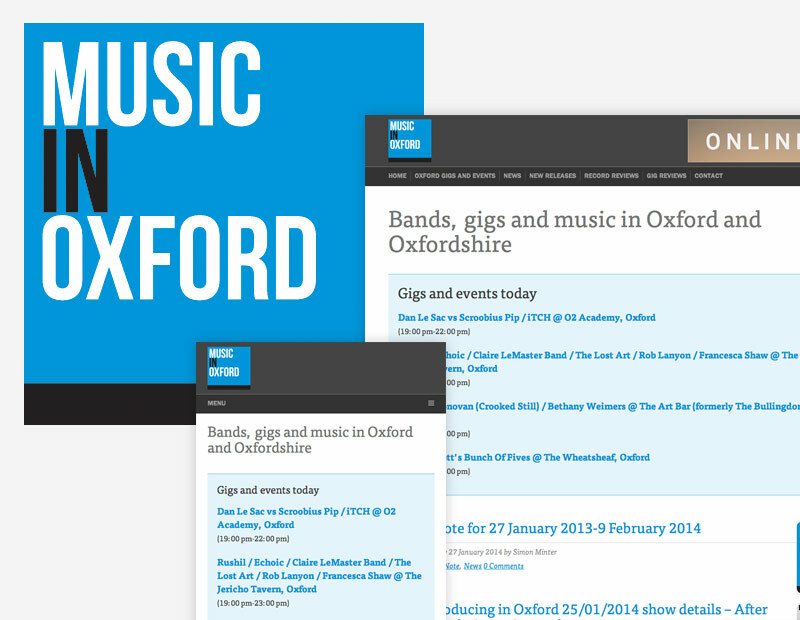 MusicInOxford.co.uk is an online hub for Oxford’s thriving music scene, which I run and for which I coordinate a team of writers. The branding is simple, clear and unobtrusive, with the aims that the website is easy to use and interact with, and that it puts the richness of the music scene at its core. The website is fully responsive to adapt for comfortable viewing across a variety of devices. This includes a responsive calendar design to allow users to see a month's worth of musical events easily on desktop, tablet or mobile.